Tammy’s favorite part of making cakes is getting to know her clients. Her wedding cakes go beyond flour and sugar…her cakes include the personalities and wishes of the couple, both for the bride’s and groom’s cakes. Tammy would love to sit down with you and discuss how your cake can accomplish your wedding day dreams. She can work with an existing design, or create one for you. Contact Tammy for a free wedding cake consultation. Sweet Designs also offers wedding cake taste testing so you can decide what flavors and filling you want for the big day. Wedding cake testings are offered periodically, so contact Tammy to get scheduled. Need sweets for your wedding shower or other wedding parties? 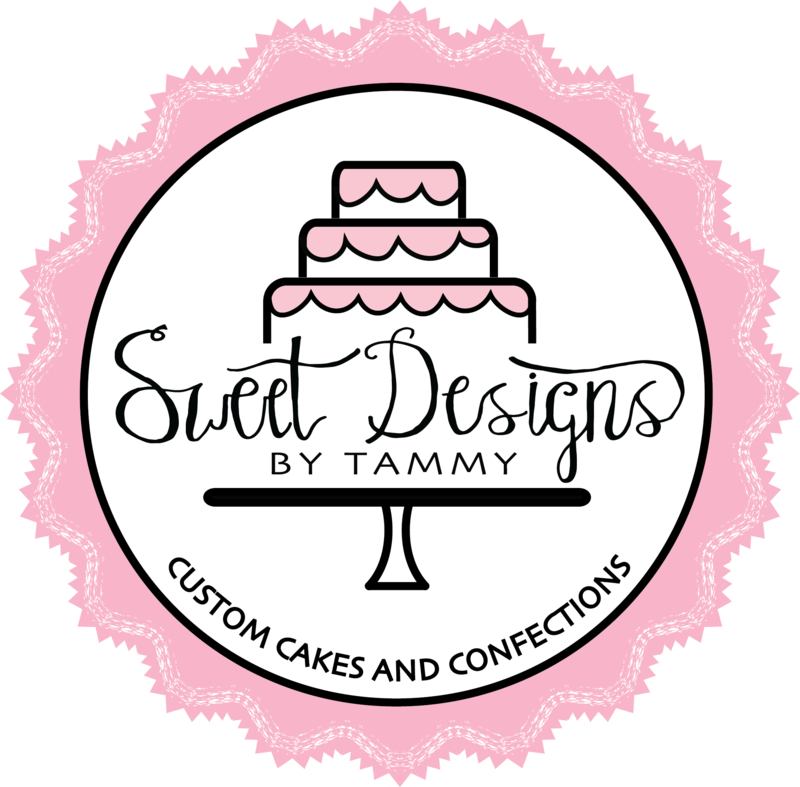 Tammy would love to add on to your wedding cake and make a package for your wedding. Click here to see a gallery of wedding cakes.